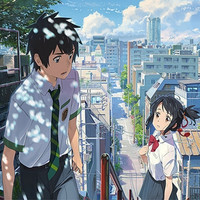 Acclaimed Japanese anime director Makoto Sinkai (Voices of a Distant Star, 5 Centimeters Per Second)'s latest feature film Kimi no Na wa./Your Name was released on 301 screens in Japan on August 26 and reportedly earned 770 million yen from 590,000 admissions in its first two days (348 million on 26 and 422 million on 27). His last film Kotonoha no Niwa/The Garden of Words was released at 23 theaters in May 2013 and ended its theatrical run with about 150 million yen. 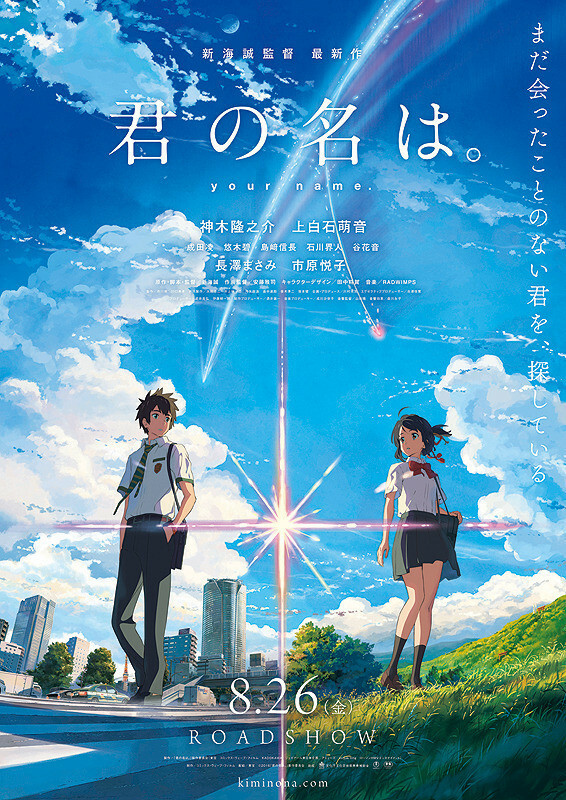 The film, which received a subsidy from the Japanese government under The Agency for Cultural Affairs' art and culture support program, has already become the biggest commercial hit in Shinkai's career. Distributor Toho expects the film to finish with a gross of about 6 billion yen in Japan, and has also announced it will be distributed in 85 countries/regions in the world. Funimation has already acquired the film for release in North America. to leave her mountain town and for the bustling city of Tokyo, they become connected in a bizarre way. She dreams she is a boy living in Tokyo while Taki dreams he is a girl from a rural town he’s never been to.